Baking soda might improve exercise performance by combating acid build-up in muscles during exercise. Influence cellular adaptation. Sodium bicarbonate can influence cellular adaptation processes and potentially support training sessions. Sodium bicarbonate (NaHCO3) is a salt made up of both sodium and bicarbonate ions. It can be found dissolved in numerous mineral springs due to its presence in the mineral natron. Although it is a white crystalline solid, it is often used in fine powder form in products such as baking soda and cooking soda. It is alkaline in nature with a pH of approximately 9 and is commonly combined with water and used as an antacid to treat indigestion and heartburn stemming from acid buildup. The alkaline nature of sodium bicarbonate has given it attention from the athletic community due to its ability to combat acidity in the blood and muscles, allowing for increased training time and minimizing the muscular fatigue that typically comes with acid build-up in the muscles. In addition, it might help reduce cramps by combating the lactic acid buildup that can occur during anaerobic respiration. “Soda doping” is a term used to describe the practice of taking baking soda capsules that has long been utilized by distance runners. Supplementing with baking soda prior to races is believed to increase performance in the same way that loading up on carbohydrates does. During high performance exercise, lactic acid accumulates in muscles.1 One of the main causes of muscular fatigue is believed to be the build-up of this acid. As physical activity continues, a spike in lactate and H+ ions takes place, which limits the contraction of the muscles. During this process, the body produces bicarbonate buffers in order to neutralize the acids created by exercise. As an alkalizing agent,2 baking soda can reduce blood acidity and lead to the removal of acid from muscle cells into the bloodstream, ultimately reducing the level of acid in these cells and preventing fatigue. 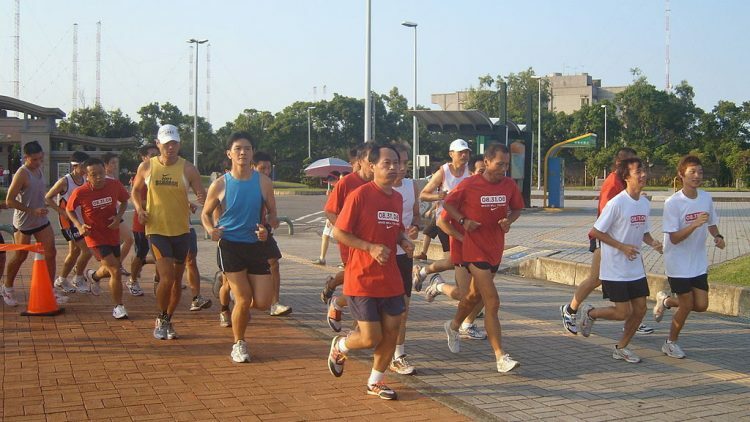 Research examining the effects of supplementing with bicarbonate on the cellular adaptation process that stems from intense physical exercise suggests that individuals who consume baking soda prior to high intensity interval training (HIIT) exhibit more adaptations in their miotchondria – the organelle in our body where respiration and energy production occurs.3 In particular, research reveals that pre-loading with baking soda leads to increases in PGC-1a, a mitochondrial builder protein.4 Proper mitochondrial functioning is essential for exercise and the ability of baking soda to increase mitochondrial adaptations could lead to increased performance at the gym. Although some pre-workout formulas contain small amounts of baking soda – as well as standard salt – many brands leave it out due to the inconclusive nature of current research on its effectiveness. Despite this, many athletes choose to pre-load with baking soda and report positive results. In addition, the current research that is available supports the benefits of using alkalizing supplements for improving performance during high-intensity exercise by reducing cardiovascular stress and lowering blood lactate responses.5 In addition, baking soda is also used by some fitness buffs as a testosterone booster due to its action on cAMP receptors, which are critical for the production and release of hormones. Consuming baking soda – even in a pre-workout stack – can be dangerous for certain individuals. For those on a sodium-restricted diet, always check with your doctor prior to integrating sodium bicarbonate into your PWO. Furthermore, for those with diets high in dairy or calcium, baking soda use can cause milk-alkali syndrome, which can lead to kidney stones and kidney failure. Always be aware of the effects of your supplements on the various components of your diet prior to consuming them. Researchers examined the effects of sodium bicarbonate consumption prior to training and its effects on the accumulation of hydrogen ions throughout the training session in male Wister rats. The rats were assigned randomly to either: a control group, a group that ingested water or a group that ingested sodium bicarbonate. Consumption took place 30 minutes prior to each training session, which was made up of 7 to 12 two-minute intervals, 5 times per week for five weeks. The results revealed that rats that consumed baking soda prior to training took longer to reach exhaustion and exhibited increased respiration in their mitochondria. In order to test the potential performance increasing effects of sodium bicarbonate when taken prior to exercise, researchers examined its effects on performance during a simulated tennis match. The study examined 9 male tennis players from college teams for a placebo-controlled, cross-over, double-blind study that was randomized in nature. Prior to performance, each participant consumed either sodium bicarbonate or standard salt. Following the 3rd game, participants consumed an additional dose of either sodium bicarbonate or standard salt. The results revealed that those that those in the sodium bicarbonate group experienced less of a decline in performance across the match compared to the group that consumed salt. In addition, those in the sodium bicarbonate group possessed a blood pH that was significantly higher than the salt group following the match. In order to determine the effects of sodium bicarbonate consumption prior to short, intense exercise, researchers examined 23 individuals (eight females and fifteen males). Each individual participated in 6 trials – 3 took place immediately after the consumption of sodium bicarbonate (300 milligrams per kilogram of body weight) and 3 immediately following the consumption of a placebo (eight grams of sodium chloride). Trials were composed of 10 10-second sprints with a fifty-second period of recovery in between each. The results revealed that participants that consumed sodium bicarbonate exhibited higher average power outputs and peak power outputs than those that consumed the placebo. 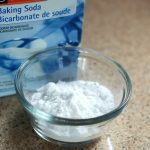 A review of the benefits of using baking soda as a performance enhancer examines recent studies focusing on this area of research. Data suggests that as a performance enhancer, sodium bicarbonate (300 milligrams per kilogram) is effective prior to exercises of high-intensity. In addition, data suggests that these benefits are observed more in individuals that possess training and experience. 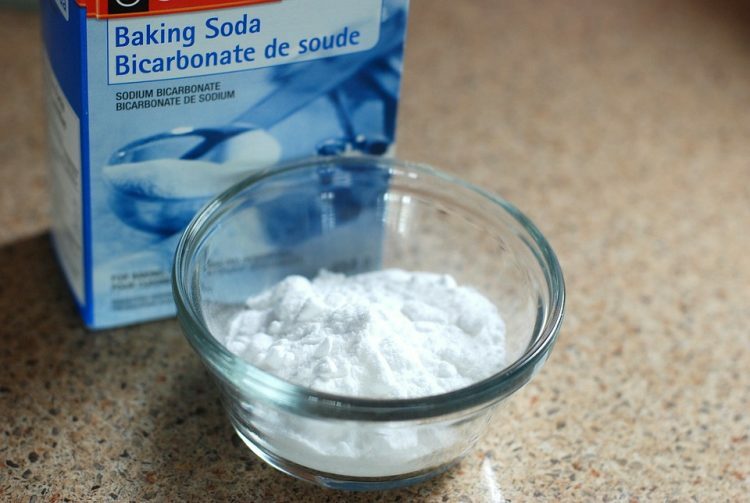 However, there are significant differences in the effects of sodium bicarbonate across individuals, making the pre-workout benefits of baking soda variable and highlighting the need for athletes to optimize the timing of their baking soda ingestion. aking side can cause unwanted side effects including bloating, vomiting, diarrhea and gastrointestinal discomfort.10 The last two are particularly common if you don’t consume baking soda without first ensuring that you are properly hydrated. Water helps with absorption and reduces the chances of experiencing any gastrointestinal problems. Current human research on the effects of baking soda prior to high-intensity exercise highlights its benefits as a performance enhancer. Its ability to reduce acidity in muscle cells and support cellular adaptation processes within the mitochondria, the energy powerhouse of the cells in our body, makes it a great choice for stacking in your PWO. 300 mg is the most common dosage cited in current human research that has reported positive effects of baking soda for use as a PWO.